In the Gospel text for the seventh Sunday of Easter (John 17:6-19), Jesus prays for the disciples as his earthly journey nears its end. 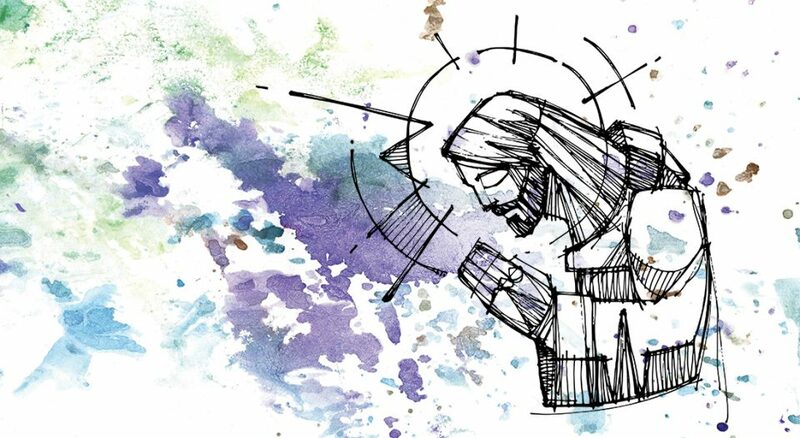 What was Jesus feeling as he prayed? The passionate words of his prayer demonstrate pastoral love, concern for the disciples’ future challenges and confidence in their preparation. Jesus knew the trouble his disciples faced, yet he didn’t pray for them to ascend to heaven with him. Why not? Wouldn’t that have saved his loyal followers from pain? They would have avoided persecution, but they would not have fulfilled their purpose. Instead, Jesus prays for their protection as they get ready to spread the gospel. While this reading ends with verse 19, a look forward in Scripture reveals that Jesus’ prayer extends beyond the disciples who walked with him. He prays for future disciples who come to believe in him through the words of his first followers. This prayer extends to us today. What does it mean for Jesus to pray for us? What does it mean for Jesus to love us enough to seek our protection, to care about our challenges of sharing and living the gospel? When I think of Jesus praying for me, it strengthens my resolve to continue the journey. On days when it feels like no one sees the challenges I face, Jesus sees me. When so much in this world feels careless, Jesus cares for me. When I think of Jesus praying for me, it strengthens my resolve to continue the journey. Because I know Jesus is praying for me, I feel confident sharing the gospel. I’m not certain of my abilities, but I am confident in the Spirit’s power to change lives. I feel Jesus walking with me as I live out my calling. While I’m grateful for a whole village of people who pray for me, the epitome of it all is that Jesus loves me enough and cares enough about my life to take the time to pray for me.